Fish Communities Associated with Hard Bottom Habitats in Tampa Bay; What Lives in These Recently Mapped Areas? Hard bottom habitats such as corals, sponges, limestone ledges and artificial reefs are known to support diverse fish communities in offshore areas of the Gulf of Mexico. Less is known about inshore hard bottom habitats in Tampa Bay. Our study, funded by the Tampa Bay Environmental Restoration Fund (TBERF), was designed to answer research questions about (1) the distribution of hard bottom habitats in Tampa Bay, (2) the fish species that are using these habitats, (3) the temporal and spatial use of these habitats by fish and finally (4) how fish use these hard bottom habitats in comparison to other habitats within Tampa Bay. A baited remote underwater video setup deployed at a natural hard bottom site in Tampa Bay. 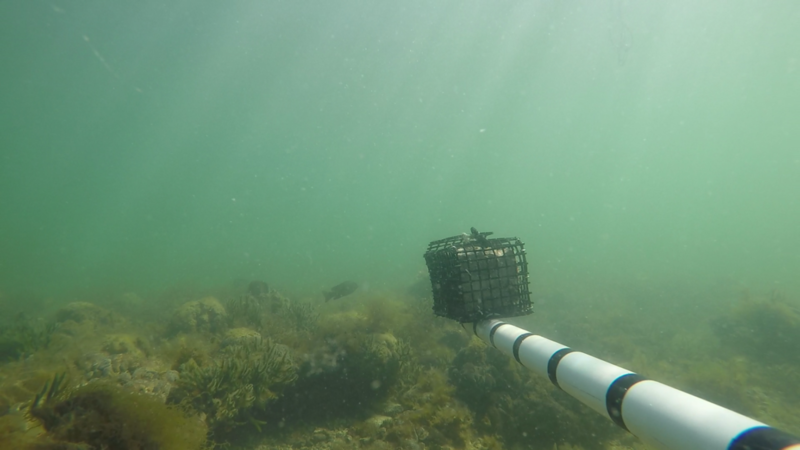 Using baited remote underwater video (BRUV) surveys and timed-drop hook-and-line sampling, data were collected on species composition and abundance for natural and artificial hard bottom habitats within Tampa Bay. 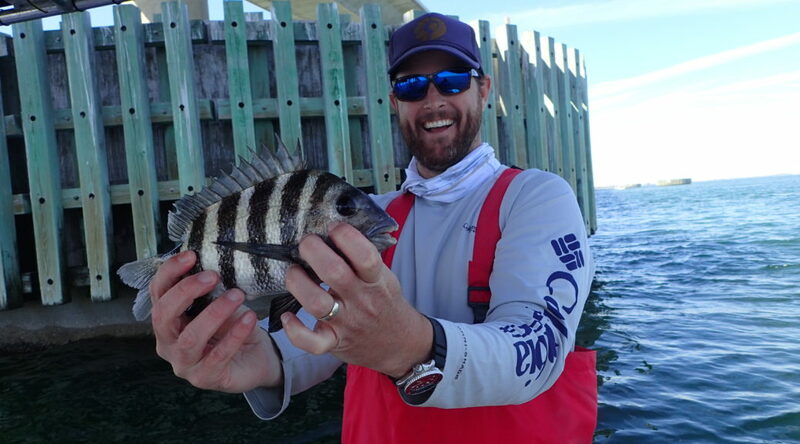 Species that have not been or are rarely collected in fisheries-independent monitoring efforts within Tampa Bay have been documented. Information on hard bottom habitat use was collected for a variety of economically important species, including reef fish that are not typically considered estuarine dependent (i.e., red grouper). These results suggest that Tampa Bay hard bottom habitats function as an extension of nearshore coastal hard bottom, attracting species not normally seen within the estuary. In addition, these habitats probably serve as a nursery for emigrating estuarine-dependent reef fish as they move to shallow nearshore reefs farther offshore (e.g., gag, gray snapper). Hooked gear sampling yielded accurate lengths on many of these key estuarine dependent reef fish species and provided data on species that are commonly captured by the recreational fishery. 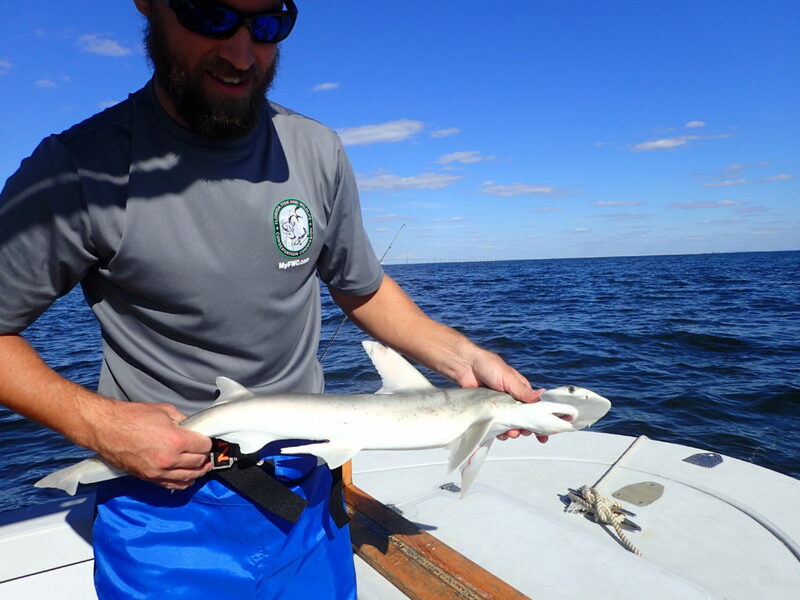 A bonnethead shark caught in Tampa Bay during the survey. 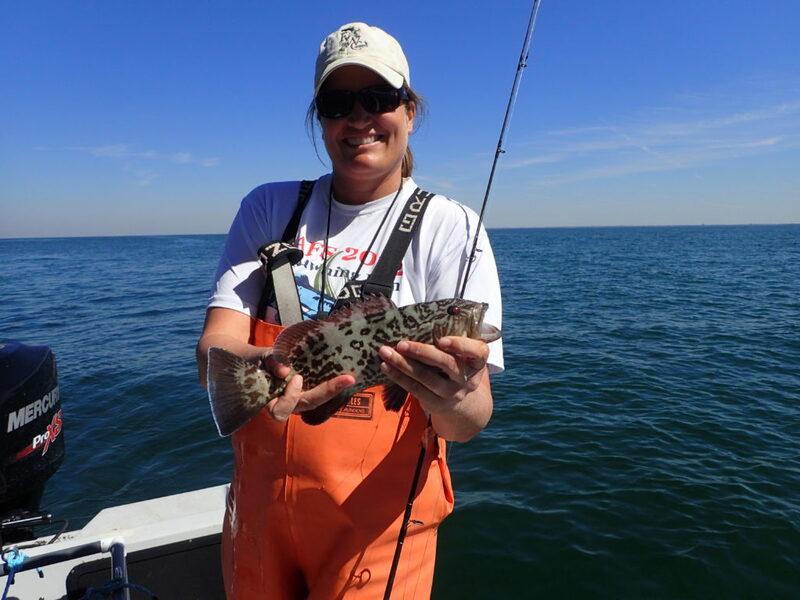 The grant-funded portion of this study was scheduled to end in 2018, but in response to the severe red tide bloom that occurred during the study period, an additional year of sampling will be conducted to observe any potential changes in these estuarine hard bottom fish assemblages. This ongoing research will help resource managers prioritize habitat conservation and artificial reef enhancement throughout Tampa Bay and surrounding waters and could easily be a model for other estuarine systems along the Florida coast. For more information email Kerry.Flaherty-Walia@MyFWC.com. A gag grouper caught during the survey.